Drive a car, ride a bike or ride in a truck on the freeway, children love to ride around and around and over the hills on this fun, fairground track ride. All our rides and attractions are installed and supervised by fully trained staff and carry relevant safety certificates, risk assessments and £10 million of public liability insurance. 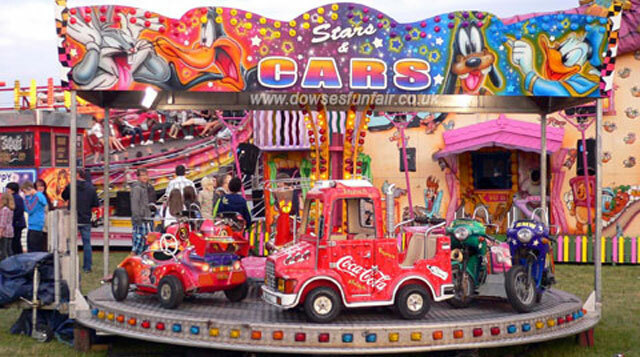 Contact us for your free Stars & Cars hire quote, or if you want to hire any other ride or attraction. Our full event supply service also includes generator hire, fencing, security and crowd control.